Sharon Cullen’s newest release was simply wonderful reading! If her cover captivates, wait until you read the book. She’s one of my favored authors! About the Story: Perfect for fans of Mary Balogh and Eloisa James, Sharon Cullen’s seductive new historical romance ignites as a shy country girl and a hotheaded duke surrender to dangerous temptations. Lady Sara Emerson was jolted out of her dull provincial life by her cousin’s murder. Now that the killer seems to be targeting her, Sara seeks help from the man who was once her cousin’s fiancé, Gabriel Ferguson, Duke of Rossmoyne. With his towering frame and fiery personality, Ross cuts an intimidating figure. Living under his protection, however, has its own hazards—like the sudden urge Sara feels to take their relationship in new, exquisitely inappropriate directions. Dazzled by the social graces of his betrothed, Ross never noticed her shy, blushing cousin. Looking at Sara now, though, he’s drawn to her lovely eyes and calm disposition. Funny how a year away from the hustle and bustle of the ton changes a man. But Ross has no intention of allowing a woman to interfere with his plan to return overseas. He will simply capture the murderer and set sail once again. The problem is, with her beguiling lips and heavenly touch, Sara makes him never want to leave home—or his bed—again. My Thoughts: Before I knew it, the story was over! I didn’t have to work on reading this one–it reads itself. It flowed quickly with the style I have come to know as Sharon Cullen’s. A simple plot with suspenseful twists kept me reading long after I should have been a bed. Exquisite writing! She’s honed her stories to perfection! From the start you see who you are dealing with in The Reluctant Duchess. Gabriel Ferguson, a duke back from two years in India, has a very large bark. He puts fear into the young ladies who wish to be duchesses! When Lady Sara Emerson comes knocking at his door (without a chaperone) you know she’s a woman with spirit and terribly brave! The author does not disappoint on either point. Meredith has issues of her own. She’s the quiet one, the retiring one at any social event. She’d prefer to remain with her father at Hadley Springs. But when she starts getting notes from someone who sounds very unbalanced she needs help. She turns to Gabriel Ferguson, her sister’s betrothed, that is, before she had been murdered. Ah, plenty of suspense in this romance. Just the way I like them! Description of emotions and events make this one a page-turner I had to finish with all speed! Ms. Cullen has never disappointed me with her books. Her style and the way she develops a scene chapter after chapter is compelling. Highly recommended for Regency Romance readers who like a real story mixed with passion! 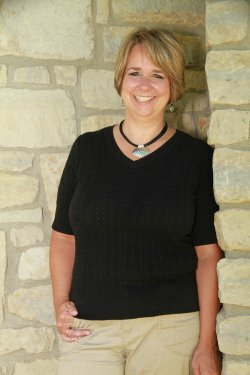 About the Author: After earning a degree in journalism from Ohio University Sharon found that the stories inside her head were more interesting than what was going on in the world around her. Yet, it wasn’t until years later that she decided to pursue her secret dream of writing a romance novel. 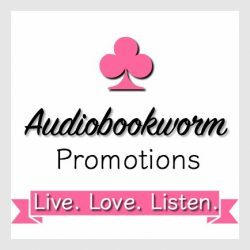 Since then she’s been published in romantic suspense, paranormal romance and contemporary romance. The Notorious Lady Anne is her first historical romance. Sharon’s other job descriptions include chauffer, laundress, cook and mediator to her three very busy kids, her husband and two dogs. She lives in southwest Ohio with her brood although her dream is to someday retire to St. Maarten and live on the beach. If you’d like to find out more about Sharon and her books, you can visit her at her blog or her website. She’s addicted to social networking so you can find her on Facebook and Twitter. Friend her! Like her! Follow her! She’d love to hang out with you and talk about her passion–books. 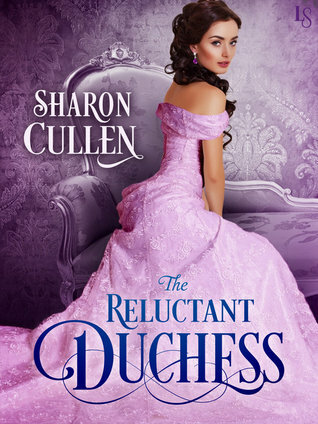 This entry was posted in Book Reviews, Historical Romance, New Book Release, Regency Romance, Romance, Romantic Suspense and tagged Book Review, historical romance, Loveswept Publishing, Sharon Cullen, The Reluctant Duchess. Bookmark the permalink. Thank you for the reblog, Vikki. Merry Christmas and Happy New Year. Sharon Cullen is a new-to-me author but your review has definitely piqued my interest, Eileen. I’m adding this to my wish list.